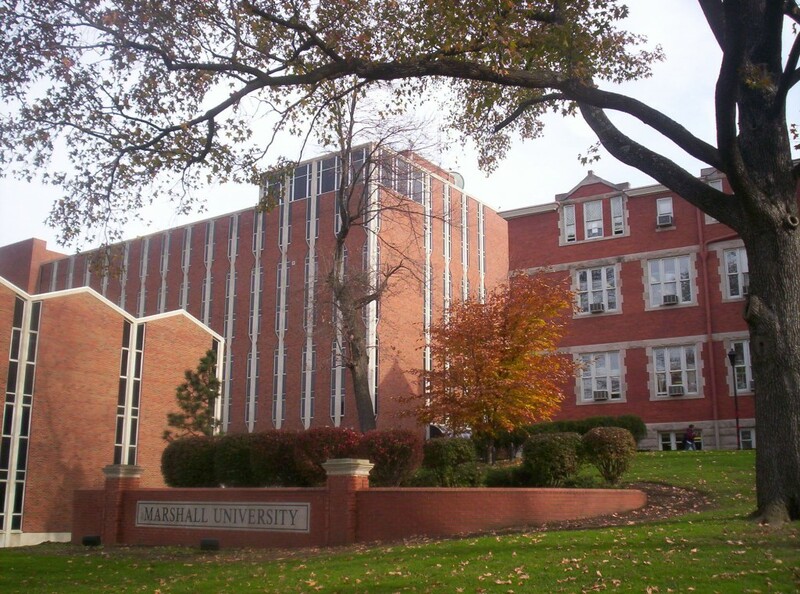 Despite its relatively small size, the Anthropology Program at Marshall University incorporates a number of resources typically expected of much larger departments. These include an Archaeological and Ethnological Laboratory, where materials from the MU Archaeological Field School are stored and analyzed. 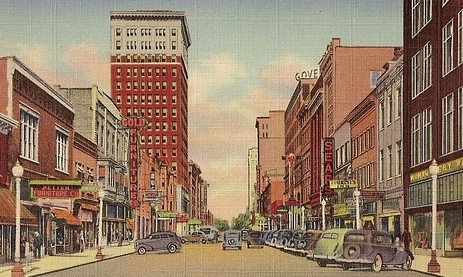 The program also owns an extensive collection of ethnographic artifacts from all over the world (formerly of the Sunrise Museum in Charleston, WV). We are part of the work of the Oral History of Appalachia Collection, a vast oral history archive comprised of thousands of interviews conducted in Appalachia over the last 40 years. No other anthropology program in West Virginia has such resources, available for research to both students and faculty, in and out of state. Anthropology is the systematic study of humans, their practices, and the myriad ways they experience these practices. Anthropologists study humanity in its diverse cultural, social, physical, and linguistic forms. As an academic discipline, anthropology bridges the humanities and social sciences in addressing fundamental questions having to do not only with how the human world works and how people negotiate their social and cultural realities but also with what it means to be human. Anthropology draws from pre-historical, historical, and contemporary cases and is distinct in addressing all levels of sociopolitical organization and subsistence strategies ranging from foraging bands and horticultural tribes to modern industrialized states and the globalized realities of the world today. Anthropology is, by its nature, interdisciplinary and international in both theory and practice. Our program offers students from diverse backgrounds the opportunity to thoroughly and creatively explore the world and peoples around them. Anthropology classes stress the exchange of ideas and build strength in critical thinking, communication, and intellectual exploration. An anthropological perspective will become increasingly important in the 21st century. There is today a growing demand for sensitivity to the values, beliefs, and cultural structures of other groups that might be different from one’s own. In all parts of society, people progressively need the ability to live, work, and appreciate diversity while simultaneously becoming more aware of the relations that connect various groups and the commonalities they share. As reported by the American Anthropological Association and the Society for American Archaeology, demand for graduates with degrees in anthropology is high. Anthropology graduates work in many fields in which research on humans and their behavior is needed, including private corporations, nonprofit organizations, and government agencies. Anthropology majors commonly find employment in state and federal governments, non-governmental and other international aid organizations, education, business, human resources, social work, historical resource management/field-technicians in archaeology, and, increasingly, health care. Many anthropology majors continue to graduate school in such fields as: anthropology, history, law, geography, or medicine. 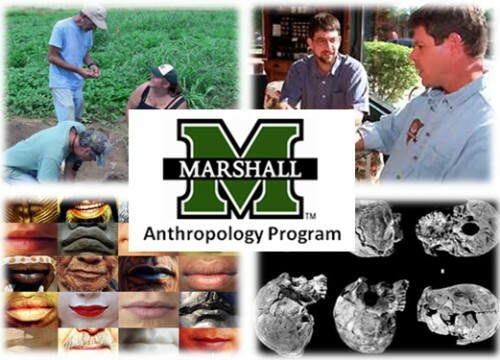 The anthropology program at Marshall University seeks to ensure that each student develops a solid foundation in the basic principles, theories and techniques of analysis within the discipline. The curriculum ensures that students are introduced to all four disciplinary subfields: social-cultural anthropology, physical-biological anthropology, archaeology, and linguistics. Since students majoring in anthropology vary in their interests and career goals, the curriculum allows for flexibility in developing individual courses of study, including opportunities for involvement in faculty research through course offerings and independent study. Get connected and find out more at the MU Anthropology Program on LinkedIn. 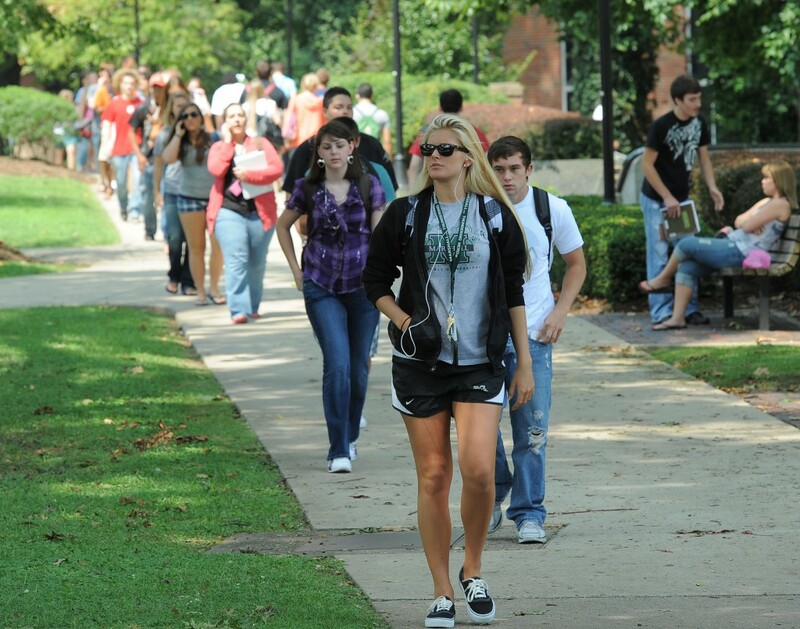 The Anthropology Program at Marshall University has a mission to provide students with an understanding of the nature and role of varied cultural forms throughout human history as well as the intellectual skills that can enable them to think critically about a similarly wide range of contemporary issues. A corollary of this primary element of our mission is our intent to help students see the relevance of anthropological theory and methods within different contexts as well as apply these approaches in their lives as individuals, members of families and local communities, and as creative citizens of different nations and the world. We maintain that our mission is best fulfilled by a curriculum in which human cultural diversity is approached from the complementary perspectives of sociocultural anthropology, archaeological anthropology, physical anthropology, and linguistic anthropology. The program is designed to provide each major a solid and systematic foundation in the basic principles, theories, and techniques of analysis within these four disciplinary subfields. Since students majoring in anthropology vary in their interests and career goals, the curriculum allows for flexibility in developing individual courses of study, including opportunities for elective course offerings and independent study. Majors who successfully complete the program will be able to understand and apply core anthropological concepts (such as culture, social organization and social structure, and adaptation), and formulate reasonable arguments and defensible positions on the fundamental questions addressed by the discipline at large – such as the past, present and future of human diversity and the evolutionary basis of human cultural and biological variation. Consistent with our mission, we stress the application of knowledge in each of these areas. Finally, because many areas of inquiry within the discipline are subject to ongoing investigation and debate, we prepare our majors to continue their own pursuit of anthropological and other forms of knowledge after they graduate and assume various roles in their communities. Investigate cultural, social, and/or biological bases of human behavior using anthropological knowledge in order to describe significant similarities and differences between human groups. Discuss diverse perspectives concerning potentially contested issues and evaluate insights gained from different kinds of evidence that reflect scholarly and popular perspectives regarding the nature and consequences of varied forms of discrimination and inequality and their consequences for individuals and/or groups. To see how anthropology makes it regularly into international news, check out some items in the Anthropology news feeds on this page (above and to the right). To learn more about what our students are doing beyond our campus, see our feature section Tales from the Field. You may also have a look at short Marshall Student Testimonials to the relevancy of anthropological coursework to their field and career aspirations. Read, watch, and listen to more about what you could do with a degree in anthropology by following the above link. See two recent Marshall Anthropology Alumni reflect on their experiences in the program and its value to them as they begin their careers. For students seeking information on graduate programs in anthropology, check out the eAnthroGuide Institution Search from the American Anthropological Association. An additional minimum of 15 credits of electives must be chosen from classes with the ANT prefix. The major in Anthropology has three (optional) Areas of Emphasis: Archaeological Anthropology (AOE Code: LA11); Anthropology of Health (AOE Code: LA12); and, Sociocultural Anthropology (AOE Code: LA13). The very best Anthropology students are encouraged to consider graduating with Departmental Honors. To graduate with honors in Anthropology a student must enroll in two subsequent 3 credit courses for a total of 6 credits over one year; a 3 credit ANT 485 Independent Study and ANT 493 Senior Seminar II (Capstone) will be the ordinary sequence, but if necessary the courses can be taken in the reversed order. The prerequisites for obtaining permission to pursue the Honors in Anthropology option are: the student must be a declared Anthropology major in Junior or Senior standing, have a GPA in all concluded anthropology classes of a minimum of 3.5, and have a written agreement with a faculty member, who will act as the advisor. In the first term, the student will prepare a study plan and literature review for an independent research project; at the end of the term, this work must be presented to a committee of at least three faculty members who will together determine the grade. The prerequisites for pursuing the second term of the honors option include: an “A” in the first term, a GPA in all concluded anthropology classes of a minimum of 3.5, and written permission by the advisor. In the second semester, the student will conduct the proposed research project and report her/his findings (the report will ordinarily be a written paper, but can be supplemented by presentations in other media – an exhibition, a film, etc.). At the end of the term, this work must be presented to a committee of at least three faculty members who will together determine the grade. The grade “A” for the work in the second term will be recognized on the students’ official transcript as “Graduating with Honors in Anthropology“. NOTE: Students DO NOT need to be in the Honors College to pursue Departmental Honors. The undergraduate Minor in General Anthropology requires 12 credit-hours made of choices from two blocks of courses. From Block I, students are required to choose two courses (6 hours) from foundational, sub-disciplinary courses: ANT 201; ANT 322; ANT 331; and ANT 371. From Block II, students are required to choose any two ANT courses (6 hours) from either the 300 or 400 level that are not listed in Block I. General Anthropology is intended to provide flexibility to explore introductions to four major sub-disciplines of the field and freely sample related upper-level courses in a way that accommodates students with diverse majors ranging from pre-medicine, pre-law, geography, art history, computer science, engineering, business, environmental sciences, to social work. Choose two of the following Foundational Sub-disciplinary Courses. ANT 201 Cultural Anthropology – Introduction to scientific study of culture with emphasis on cultures of small-scale societies. ANT 322 Archaeology – Introduction to the methods and theory of archaeology. ANT 331 Physical Anthropology – The study of human physical evolution, from the earliest hominins to the present day, based on the study of primatology, human genetics, and the paleontological record. Choose two ANT courses from either the 300 or 400 level that are not listed in Block I. Students should seek advice from the program and plan for Block II courses that build on choices made in Block I. 9 additional hours at the 300-400 level. A minor in anthropology is earned by taking at least 6 credit hours in courses at the 500- or 600- level in Anthropology as approved by the student’s advisor and the Graduate Program Director in the Department of Sociology and Anthropology. Archeologists have discovered kin relationships among Stone Age individuals buried in megalithic tombs on Ireland and in Sweden. The kin relations can be traced for more than ten generations and suggests that megaliths were graves for kindred groups in Stone Age northwestern Europe. A new study suggests that the genetic profiles of two extinct mammals with African ancestry -- woolly mammoths and Neanderthals -- shared molecular characteristics of adaptation to cold environments.